This class focuses on foundational poses and breath work in a slower paced flow that is geared towards beginners but is also suitable for advanced students or students returning to practice after some time away. There are no upcoming “Slow Flow Level 1” classes on this day. A lovely slow paced class with great instruction and insights behind why we do what we do in yoga. ??????? 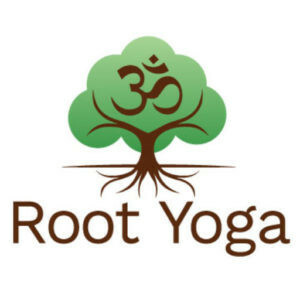 ?‍♀️✨ Amy creates a warm and welcoming environment at Root Yoga. She offers her knowledge of yogic thought in considerate, non-judgmental way. We are friends. We are yogis. We are our own teachers. As student, I enjoy getting into an intuitive flow, and would love more "sign posts" on top of the step-by-step instructions. Personally, I find visual metaphors of movement helpful for guidance, while anatomical descriptions keep me more in my head trying to be "correct", rather than feeling my body flowing into the right pose. Weekend classes are popular, so get there early enough to grab a good mat space. Namaste ???? Great class! The instructor was very welcoming and inclusive of participants at all levels. I will definitely be back! Great basics class with focus on posture. Heated to 80 degrees. Lovely instruction style. ???????? Great class, love the space it smelled amazing and had great ambiance.